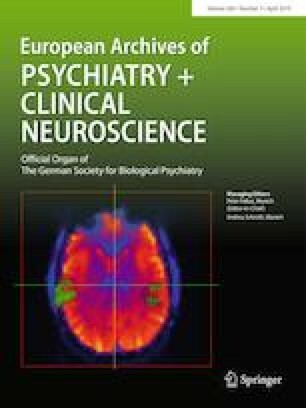 Psychosocial Interventions (PIs) have shown positive effects on clinical and functional outcomes of schizophrenia (SZ) in randomized controlled trials. However their effectiveness and accessibility remain unclear to date in “real world” schizophrenia. The objectives of the present study were (i) to assess the proportion of SZ outpatients who benefited from PIs between 2010 and 2015 in France after an Expert Center Intervention in a national multicentric non-selected community-dwelling sample; (ii) to assess PIs’ effectiveness at 1-year follow-up. 183 SZ outpatients were recruited from FondaMental Advanced Centers of Expertise for Schizophrenia cohort. Baseline and 1-year evaluations included sociodemographic data, current treatments, illness characteristics and standardized scales for clinical severity, adherence to treatment, quality of life, a large cognitive battery, and daily functioning assessment. Only 7 (3.8%) received a PI before the evaluation, and 64 (35%) have received at least one PI during the 1-year follow-up. Having had at least one PI during the follow-up has been associated in multivariate analyses with significantly higher improvement in positive and negative symptoms (respectively p =0.031; p = 0.011), mental flexibility (TMT B, p = 0.029; C-VF, p = 0.02) and global functioning (p =0.042). CBT and SST were associated with higher cognitive improvements, while CRT was associated with clinical improvement. These results have not been demonstrated before and suggest that the effect of each PI is larger than its initial target. The present study has confirmed the PIs’ effectiveness in a large sample of community-dwelling SZ outpatients at 1 year follow-up. Efforts to improve access to PI should be reinforced in public health policies. This work was funded by AP-HP (Assistance Publique des Hôpitaux de Paris), Fondation FondaMental (RTRS Santé Mentale), by the Investissements d’Avenir program managed by the ANR under reference ANR-11-IDEX-0004-02 and ANR-10-COHO-10-01, and by INSERM (Institut National de la Santé et de la Recherche Médicale). We express all our thanks to the nurses, and to the patients who were included in the present study. We thank Hakim Laouamri, and his team (Stéphane Beaufort, Seif Ben Salem, Karmène Souyris,Victor Barteau and Mohamed Laaidi) for the development of the FACE-SZ computer interface, data management, quality control and regulatory aspects. We thank also Isabelle Durand-Zaleski and Amélie Prigent from URC-Eco IDF for their precious advices. FACE-SCZ Group: Andrianarisoa Md,l, Aouizerate Ba,l, MD PhD, Bazin Nk,l, MD Berna Fb,l, MD PhD, Blanc Oc,l, Msc, Brunel Ld,l, Msc, Bulzacka Ed,l, Msc, Capdevielle De,l, MD PhD, Chereau-Boudet Ic,l, MD, Chesnoy-Servanin Gf,l, Msc, Coulon Nd,l, MD PhD,Danion JMb,l, MD, D’Amato Tf,l, MD PhD, Deloge Ag,l, MD PhD, Msc, Denizot Hc,l, MD, Dorey JMf,l, MD, Dubertret Ci,l, MD PhD, Dubreucq Jh,l, MD, Faget Cj,l, MD, Fluttaz Ch,l, Msc, Fond Gd,l, MD, Fonteneau Sk,l, Msc, Gabayet Fh,l, Msc, Giraud-Baro Eh,l, MD, Jaroir Mk,l, Msc, Lacelle Dc,l, Msc, Lançon Cj,l, MD PhD, Laouamri Hl, Msc, Leboyer Md,l, MD PhD, Le Gloahec Td,l, Msc, Leignier Sh,l, MD, Le Strat Yi,l, MD PhD, Llorcac,l PM, MD PhD, Mallet Ji,j, MD PhD, Metairie Ej,l, Msc, Misdrahi Dg,l, MD, Offerlin-Meyer Ib,l, PhD, Passerieux Ck,l, MD PhD, Peri Pj,l, Msc, Perier CCh,l, Msc Pires Sc,l, Msc, Portalier Ci,l, Msc, Ramet Lk,l, Rey Rf,l, MD, Roman Ch,l, Msc, Schandrin Ae,l, MD, Schurhoff Fd,l, MD PhD, Tessier Ag,l, Msc, Tronche AMc,l, MD, Urbach Mk,l, MD, Vaillant Fj,l, Msc, Vehier Af,l, Msc, Vidailhet Pb,l, MD PhD, MD, Vilà Eg,l, Msc, Yazbek He,l, PhD, Zinetti-Bertschy Ab,l, Msc. a Centre Hospitalier Charles Perrens, F-33076 Bordeaux, France; Université de Bordeaux, Inserm, Neurocentre Magendie, Physiopathologie de la Plasticité Neuronale, U862, F-33000 Bordeaux, France; b Hôpitaux Universitaires de Strasbourg, Université de Strasbourg, INSERM U1114, Fédération de Médecine Translationnelle de Strasbourg, Strasbourg, France; c CMP B, CHU, EA 7280 Faculté de Médecine, Université d’Auvergne, BP 69 63003 Clermont-Ferrand Cedex 1; d AP-HP, DHU Pe-PSY, Pôle de Psychiatrie et d’addictologie des Hôpitaux Universitaires H Mondor,INSERM U955, Eq. 15 Psychiatrie Translationelle,, Université Paris Est-Créteil, Créteil, France; e Service Universitaire de Psychiatrie Adulte, Hôpital la Colombière, CHRU Montpellier, Université Montpellier 1, Inserm 1061, Montpellier, France; f Université Claude Bernard Lyon 1/Centre Hospitalier Le Vinatier Pole Est BP 300 39–95 bd Pinel -69678 BRON Cedex, France; g Centre Hospitalier Charles Perrens, F-33076 Bordeaux, France; Université de Bordeaux, CNRS UMR 5287-INCIA; h Centre Référent de Réhabilitation Psychosociale, CH Alpes Isère, Grenoble, France; i AP-HP, Department of Psychiatry, Louis Mourier Hospital, Colombes, Inserm U894 Université Paris Diderot, Sorbonne Paris Cité, Faculté de médecine, France; j Assistance Publique des Hôpitaux de Marseille (AP-HM), pôle universitaire de psychiatrie, Marseille, France; k Service de psychiatrie d’adulte, Centre Hospitalier de Versailles, Le Chesnay, EA 4047 HANDIReSP, UFR des Sciences de la Santé Simone Veil, Université Versailles Saint-Quentin en Yvelines, Versailles, France; l Fondation Fondamental. The authors had full access to the data in the study and take the responsibility for the integrity of the data and the accuracy of the data analysis. Dr Julien Dubreucq drafted the article and made the literature review. Pr Bernard Ycart and Mrs Agnès Hamon performed the statistical analysis. Dr Guillaume Fond, Pr Pierre Michel Llorca, M. Franck Gabayet and Mrs Claire Cécile Périer contributed to the interpretation of data and critically revised the article. All the authors were involved in the collection and analysis of the data. All authors contributed to and have approved the final manuscript.